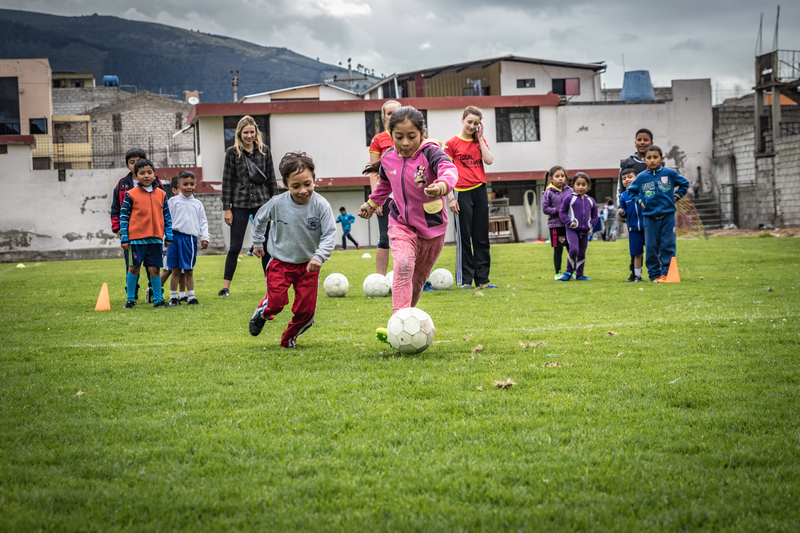 The Local Dreamers Soccer School serves as a safe place to play for children in the neighborhood of La Arcadia in the south of Quito. All children in the age of 6-14 are welcome here, regardless of gender, social background and economic situation. 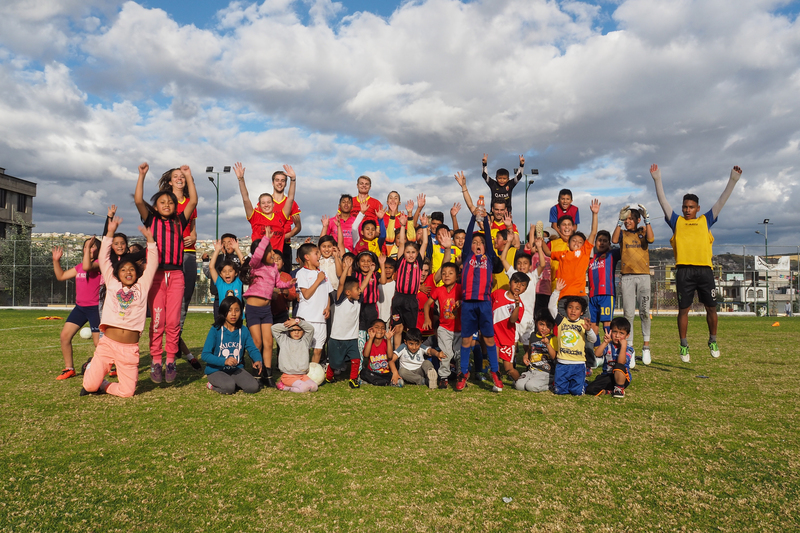 Although the name Soccer School (in Spanish: Escuela de Fútbol) suggests that the school is only meant for playing soccer, we also want to introduce other sports like handball, athletics and frisbee to the children. 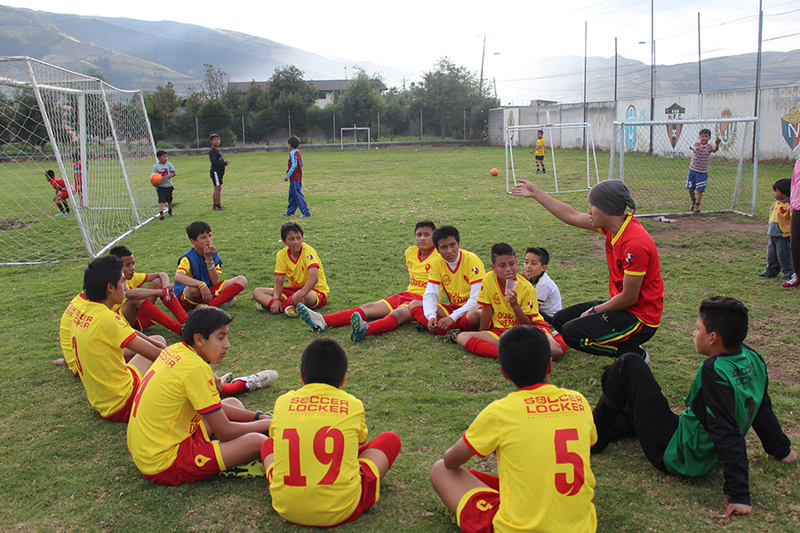 By offering physical education in an organized program, we prevent them from taking refuge in alcohol, drugs and criminality, which are structural problems in this disadvantaged neighborhood. In our Soccer School project we have created a performance group and a recreational group. The performance group consists of the oldest children (11-14 year). Within this group, we focus on developing general norms and values like respect, cooperation and discipline. Next to that, we put an emphasis on sportive aspects: technique, tactics and stamina. Within the recreational group, there is more emphasis upon the social development of the children by exercising and playing together. 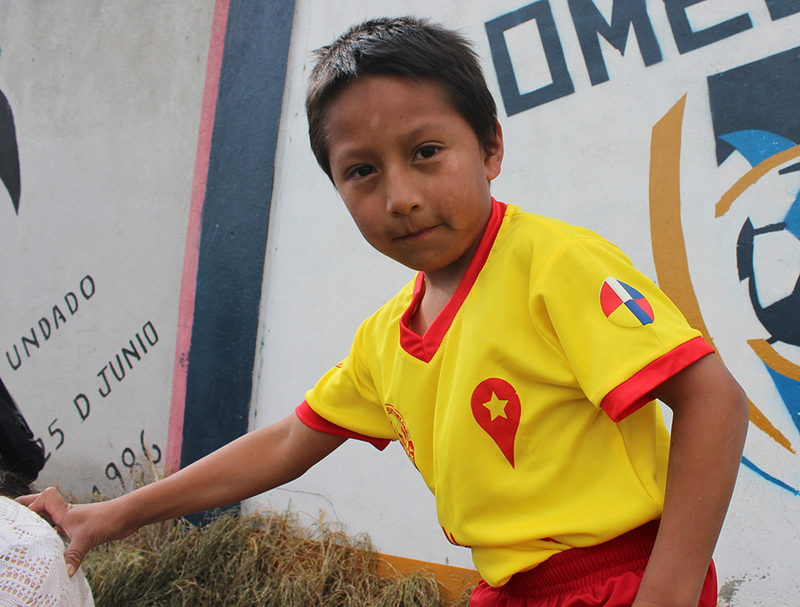 For them, the school is a playful introduction to football. NEW! In 2017, we started playing with teenagers from the neighborhood and volunteers in an official competition. 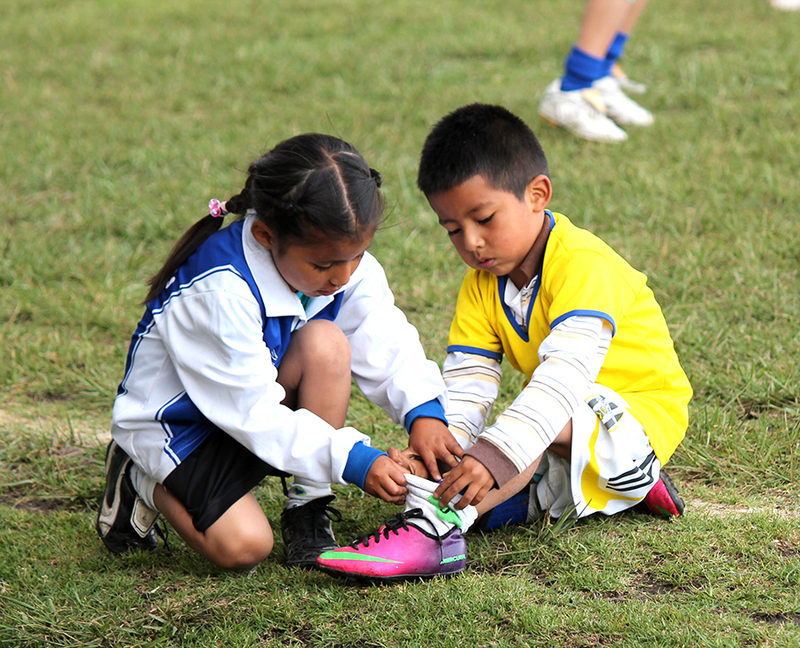 Moreover, we set up a team only for girls – the “Pachamamas”! The fun and distraction you give to the kids is reflected in their enthusiasm. Those enthusiastic, beautiful children, receiving you so happy and greatful. Made me feel good every time again! Former volunteer Joachim van Imschoot interviewed assistent project coordinator Andrés Zambrano and some of the children. 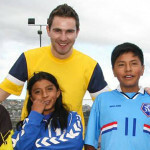 His video gives a great impression of the Soccer School Project and its goals! 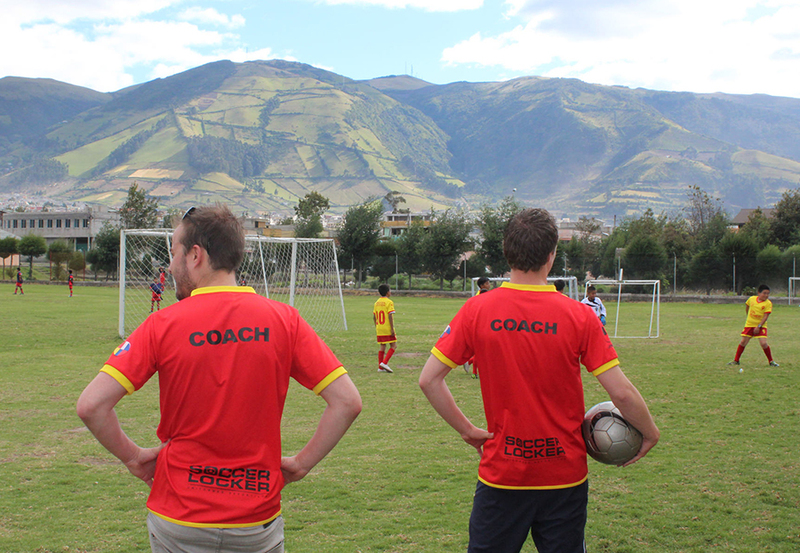 At the Soccer School, you can take the role of manager/project coordinator or as a trainer. 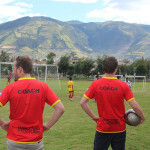 We oblige the trainers of the Soccer School to take a base course in Spanish at our Quito office. For the manager or coordinator of the project, it is mandatory to follow an intensive course. For more information, see our Spanish course page. * In Quito you will stay with a host family. Your family provides a daily breakfast and dinner, which are included in the price. 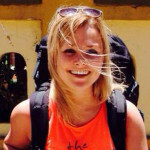 ** You can choose between a Spanish Basic, Intensive or Specialist course. The Basic course includes 24 hours of (private) Spanish clases. The Intensive Spanish course includes 40 hours of (private) Spanish clases. You can also choose the Specialist course. This course contains – sometimes depending on the project(s) – a minimum of 60 hours of private lessons. 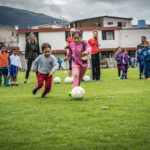 In this fairytail scenery, the young stars of our Soccer School play every month a match against the youth academy of professional club Nacional. 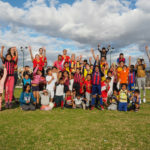 Sign up for our Soccer School project! If you are interested in the Soccer School project, and you want more information, please contact us via the ‘join us button’. Be aware that we don’t have any full-time projects. We always compose a project plan in collaboration with the volunteer, and try to match the qualities of our volunteers with the right activities. Volunteers do best what they have been educated in.